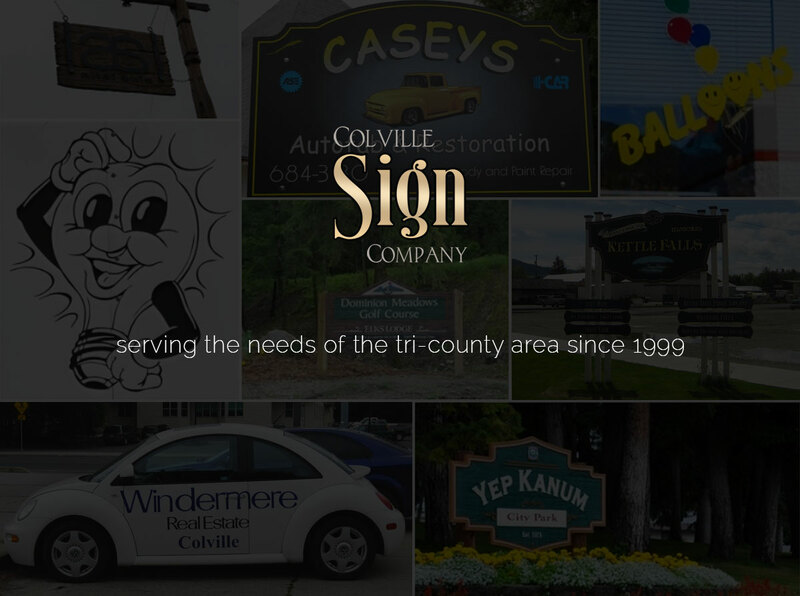 Colville Sign | Vinyl graphics, lettering and signage. Custom signs for every need! For over 8 years we have been helping our clients select the styles and designs that best fit their business and personal needs for vinyl graphics, lettering and signage. We can create banners, or letter your truck (or fleet); we can create beautiful residential signs, or make that eye-catching jobsite sign. We sandblast glass for your windows, doors, or cabinets. We use our creativity, imagination, and sign-making skills to create signs for our clients that best suit their business or personal goals.